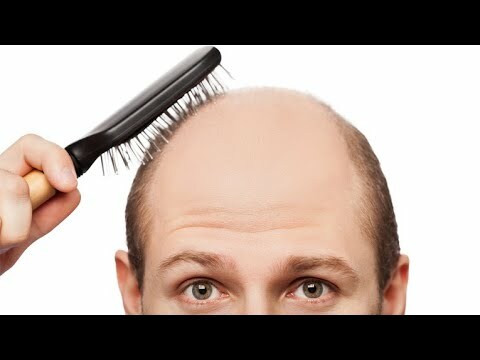 Brittle bones drug baldness, Scientists in the United Kingdom may have found a new treatment for baldness, according to research published this week in the journal PLOS Biology. The researchers gathered scalp hair follicle samples from more than 40 male hair-transplant patients to examine in the lab and first tested the immunosuppressive drug cyclosporine A.
CsA was able to target the protein SFRP1, a key growth regulator in hair follicle tissue. But the side effects were too great to ensure a suitable treatment for baldness. Instead, the researchers designed a new pharmacological approach using another agent, WAY-316606, a drug originally intended to treat osteoporosis, to target the protein. WAY-316606 was much better at targeting the protein without the side effects. There are currently only two FDA-approved hair growth promoters on the market: minoxidil and finasteride. But neither are always effective and both have their share of side effects. “Given the severe psychological burden and negative quality of life that can be associated with hair loss, additional, but safe, human hair growth–promoting agents are urgently needed,” the study authors wrote. “The fact this new agent, which had never been considered in a hair-loss context, promotes human hair growth is exciting because of its translational potential: it could one day make a real difference to people who suffer from hair loss,” lead author Nathan Hawkshaw of the University of Manchester added in a university statement. Hawkshaw said a clinical trial is necessary to show whether the drug or similar compounds are effective and safe for hair loss patients.